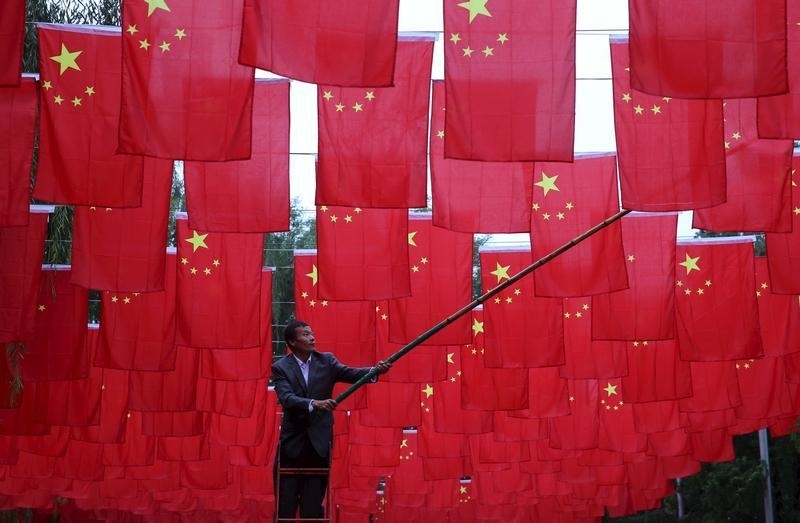 China is proving a quick learner of inconvenient free-market lessons. The country’s stock-market circuit breaker, which has managed to promote fear more than calm, is going to be ditched within days of its launch. The mechanism was introduced at the start of the year following huge domestic equity-market gyrations in 2015. It suspends trade for 15 minutes when the market falls 5 percent and halts it for the day after a drop of 7 percent. But the Shanghai and Shenzhen stock exchanges said on their websites on Jan. 7 that the mechanism itself will be suspended as of Jan. 8. Little wonder. The fuse has been tripped twice already in its first week, stoking concern about how much more pent-up selling might be in the pipeline. Last year’s hair-raising drops in the Chinese stock market were grim, and global asset managers are spooked by the renewed slide. The pan-European FTSEurofirst 300 index of shares fell more than 2 percent on Jan. 7 while the S&P 500 was down 1.3 percent at 1730 GMT. But a key lesson of markets is that it’s better to know the worst than be left in the dark about how bad things might get. While circuit breakers can play a useful role in preventing panic, the Chinese ones gave investors too little leeway to sell and proved counterproductive. What’s encouraging is how quickly the authorities learnt from their mistake and rectified it. This ability to admit mistakes and move on is a good omen for China’s integration into the global financial markets that it increasingly influences. China will suspend its new stock-market circuit breaker mechanism as of Jan. 8, the Shanghai and Shenzhen stock exchanges said on their websites on Jan. 7. The announcement came after China’s stock markets were suspended for the day less than half an hour after the open, as the circuit breaker was tripped for the second time in a week.